As newsrooms shrink, PR pros have greater opportunities to help reporters gather stories and information, but they also have to cut through the massive amount of pitches and online clutter to grab attention and help their stories see the light of day. Telling stories and networking through social media can make all the difference, along with improved pitching techniques to better connect with bloggers and journalists online. 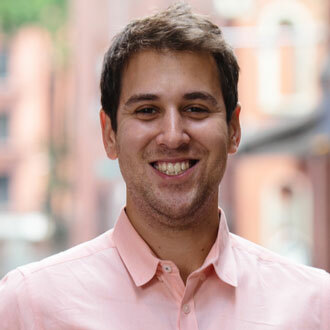 Natan Edelsburg, chief operating officer of Muck Rack and the Shorty Awards, will show you how social media best practices can improve your media relations prowess—and how you can become a storytelling machine. Natan Edelsburg is the chief operating officer at Muck Rack, a digital PR and journalism platform, and the senior supervising producer of The Shorty Awards, which honors the best of social media. Natan is the chair of PRSA’s Tri-State District and the director of finance on the board of PRSA New York. he is also the executive editor & co-founder of Found Remote, a news site about the future of TV, as well as a frequent speaker on social media, PR, journalism and the future of TV.